The Band's Eponymous Record Is Also Known As "The Brown Album"
One year after releasing a debut album that made them the talk among musicians everywhere, The Band was to release an album that would also made them the talk among the buying public. The year was 1969, and their eponymous disc was to produce their only top 30 hit in the US (“Up On Cripple Creek”), while the record also featured the successful European single “Rag Mama Rag”. It is easy to see what the hoopla was all about. The group had crafted a quasi-conceptual album about Americana in which different characters came alive in songs where the history of the country was revised time and again, and a clear debt was paid to genres like ragtime, blues, gospel and (most of all) country. Sharing this video is important since it truly brought the song to a wider audience in the same way that Smith’s cover of “The Weight” (featured on the “Easy Rider” soundtrack) became as popular as the original version itself. On the other hand, “King Harvest” dealt with the period in which crops were sold at the beginning of the fall and families celebrated their good fortunes. It was directly inspired by Robertson’s young years, and his guitar workout is very impressive from start to finish. Elsewhere, “Look Out Cleveland” was to stand as one of the most aggressive songs within their catalog, whereas Richard Manuel soared like never before (or after, for that matter) on his collaboration with Robertson named “Whispering Pines”. He also played the drums as idiosyncratically as ever on “When You Awake” and “Rag Mama Rag”. Other songs were populated by characters like the unrepentant loser of “Jawbone”, the unabashed lover of “Jemina Surrender”, the old-timers of “Rocking Chair” (who celebrated and reveled in rural tranquility)… On the whole, a feasible slew of characters living way down South was brought to life by a group that was essentially Canadian. That was just one of the major contradictions at play, the other being that The Band was one of the most talked-about units within rock & roll when their sound was clearly rooted in an entirely different genre (or genres, if we were to be 100 % accurate). Ultimately, the album would go down as the most harmonic piece The Band created. It was the first time that Robertson had assumed the artistic lead, and at that point they were all moving in the same direction. The three singing voices were given equal exposure (something that would become gradually lost), and the ensemble playing of the guys was never that consistent again. 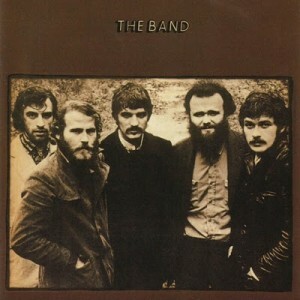 “The Band” was reissued by Rhino in the year 2000. The booklet is phenomenal, and several alternate takes are offered. These are not vital under any concept, but they do highlight how hard they all labored at their craft until the arrangement for each song was arrived at. And a track that was deemed surplus to requirements back then is included as well. Named “Get Up, Jake”, it feels like the idiot cousin to the rest of the disc. No wonder it was omitted the first time around. Personally speaking, I truly adore the album since it was at the forefront of the country rock movement that bands like The Byrds were to champion during the ‘70s. As I said above, it will always stand as the most harmonic work by The Band, and as a true testament of talent that when summed up reaches a natural height that to other performers is not just inaccessible – it is a mere utopia. Never did the name of a band stand so veracious. They were The Band. Period.